THE royals have continued to significantly influence the choice of baby names in Australia - and "Meghan" will be no exception. 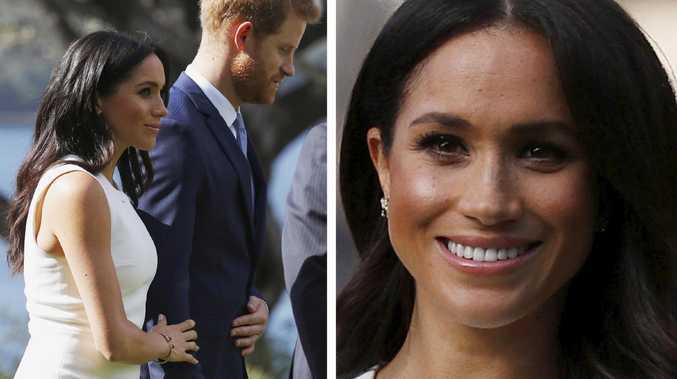 We have watched the Duke and Duchess of Sussex, Prince Harry and Meghan Markle win hearts all over the country since touching down on Aussie shores on Monday - and as their popularity continues to soar so too will their influence on baby names. According to the Baby Names Australia 2018 report, the name Meghan has not featured in the Top 100 for more than six years, however, this is likely to change, just as it did for the name "Henry". 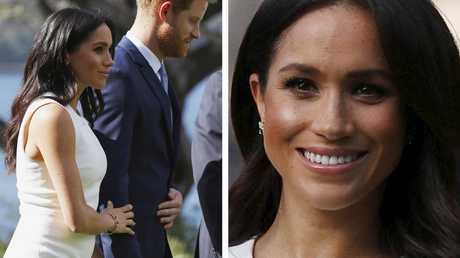 After the popular Royal couple tied the knot in May this year, "Henry" entered the Top 10 baby names across Australia for the first time in over six years, after steadily increasing year by year (32nd in 2011 to 8th in 2017), the report conducted by McCrindle, a research company analysing trends, stated. "The Duke and Duchess are a delightful couple and with their great tour Down Under it will be interesting to know what will happen to Meghan's name and popularity from this tour," Geoff Brailey, social researcher for McCrindle told news.com.au. "Her name has been outside Top 100 for the last six years but we expect it to rise in popularity from this tour and since marrying Prince Harry in May." Mr Brailey said Meghan now has two of the three great power influences when it comes to baby names - celebrity and royal status - the third is "place names" such as Bronte and Avalon. But controversy remains about how to correctly pronounce the name Meghan. Australians, generally, say "Mee-gan". Meghan Markle calls herself "Megg-un". That's nothing to do with the extra "h" in her name. It's because that's how the name is generally pronounced by the rest of the world - including people in Wales, who invented the name as a pet form of Margaret. "Megan is pronounced 'Megg-un'," a spokesman for Cymry Melbourne (Melbourne Welsh) told Mamamia. 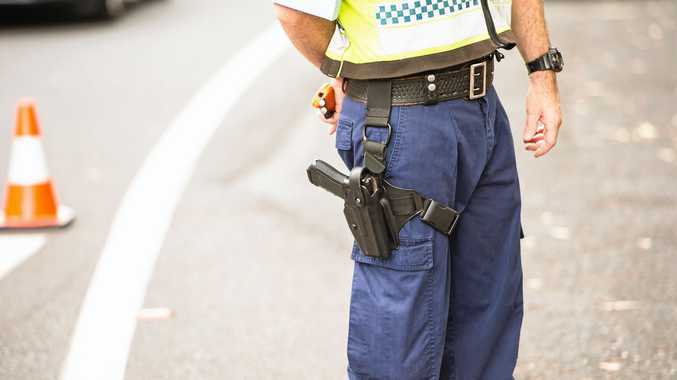 "No idea why Australians went a bit different with the first syllable." The report, an analysis of the recent Births, Deaths and Marriages data also revealed that the births of Prince George (born 2013) and Princess Charlotte (born 2015), the children of Prince William and Kate, have continued to rise in popularity. George's rank increased from 71st in 2012 to 35th in 2017 and in 2015 the name Charlotte overtook Olivia as the nation's most popular baby girl name, where she has since maintained her reign as number one. Oliver is the most popular boy's name. "After the birth of Prince Louis in 2018, sibling of Prince George and Princess Charlotte, it will be no surprise if the 2018 Baby Names shows Louis has stepped up the ranks from his current position at 73rd," the report stated. 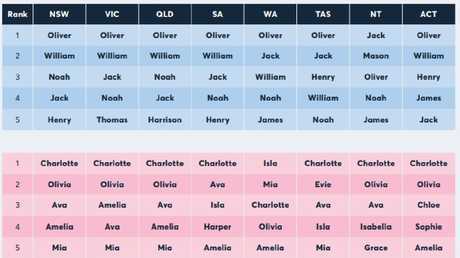 Most popular baby names 2018 in Australia. But, since announcing they're expecting, everyone wants to know what they are going to call their first born - and a 12-year-old boy named Charlie Wolf asked the question on behalf of the world when couple travelled on a Melbourne tram yesterday. "We've been given a long list of names from everyone, we're going to sit down and have a look at them," Meghan replied. Meghan, 37, and Harry, 34, took the tram to the beach to meet lifeguards and volunteers that help keep the beach clean. They're now back in Sydney for the Invictus Games, a competition for wounded veterans started by Prince Harry.